Food supplements are concentrated sources of nutrients. Supplements must be taken if your health and body demands it. They don't have any side-effects if taken the right way. You are what you eat' is a wise saying. But, most of us have a tendency to rely on fast foods or frozen meals that can be grabbed quickly to keep oneself feel fed and healthy enough to go after the busy schedule again the next day. When suddenly a health problem crops up, we begin to search for dietary or herbal supplements to help us get out of the hole that we had dug for ourselves. Food supplements are concentrated sources of nutrients or other substances with a nutritional or physiological effect whose purpose is to supplement the normal diet. They are marketed as pills, tablets, capsules, liquids in measured doses, etc. All supplements play an important role in health. For example, pregnant women can take folic acid to prevent certain birth defects in their babies. 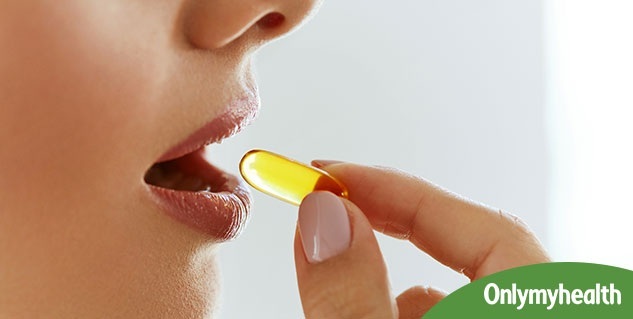 There are many basic categories of food supplements, which include antioxidants, vitamins, minerals, anti-aging supplements and weight loss supplements, to name a few. Each of these contains different elements that can help us to live to our fullest and healthiest potential. Healthy dose of antioxidants: The supplements provide our body antioxidants to help combat things called free radicals, which can damage cells. Free radicals can be introduced into the body by smoking, polluted air, eating an unhealthy diet and a number of other sources. Nutritional health supplements become important when food doesn’t give us a healthy dose of vitamin C, beta carotene, lutein, and lycopene. Weight management: Losing weight is one of the most common reasons that people take various nutritional health supplements. You may have heard that green tea can really help with weight loss as well as chromium, guarana, fiber and CLA. Taking these can help to boost your intake and ensure you are meeting daily requirements. But don't forget to take consult of your doctor before taking these. Boosts immunity: Nutritional supplements also help boost our immune system. The stronger your immune system, the more resistant your body can be against disease. You probably know that popping a tablet or two of Vitamin C can help you avoid colds and related illnesses. This is exactly how useful supplementation is. Keep toxins to minimum: Nutritional supplements are also useful in getting rid of the toxins which we unknowingly take in everyday. The environmental stresses we go through, chemicals we are in touch with, as well as our lifestyle - these all subject us to harmful toxins which can lead to serious health problems. Supplements, most especially antioxidants, can help our body keep toxins to a minimum. Supplements must be taken if your health and body demands it. Food supplements are definitely not bad for your health rather they improve your health and make you stay fit. They don't have any side effects if they are taken in the right quantity and consulted with the doctor. Tell your doctor about any dietary supplements you use. Also, do not take a bigger dose than the label recommends and read information about the supplement. Always take desired amount of water with the food supplement you have as it helps dilute the proteins and vitamins in your body and makes them effective. If it's a weight loss supplement, ask doctor for the directions of use. Is it really important to take supplements?